Tripura Education Minster Ratan lal Nathon Tuesdayinaugurated the 39thFresher’s day celebration of Dharmanagar Government Degree College at Dharmanagar Vivekananda Sardo Sata Barshiki Bhawan. TIDC Chairman Tinku Roy, Dy Speaker Biswabandhu Sen, College principal and others were present at the program. There are a total of 3652 students in the college and a total of 1546 students took admission in the college. 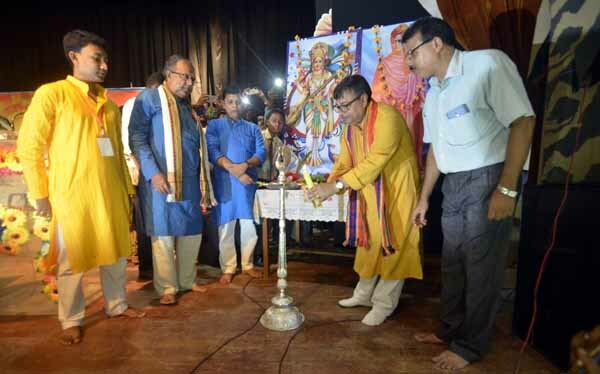 Addressing the program, Education Minister Ratan Lal Nath stated that due to the poor quality of education in the state, in the previous years there was no IAS candidate form Tripura. Candidates from Sikkim, Arunachal Pradesh, Meghalaya and Mizoram have cleared IAS but in Tripura no one has cleared it. He further stated that there was no quality education in the state in the previous years, students were just running around collecting certificates, but only doing so is not enough. One has to posses that knowledge. However, the ruling government is now committed towards improving the standard of education and the teachers are required to keep up.